by Marc O. DeGirolami, Harvard University Press, 2013. 320pp. Hardcover $45.00. ISBN 9780674072664. Reviewed by Jesse Merriam, Department of Political Science, Johns Hopkins University. Email: jmerriam [at] gmail.com. 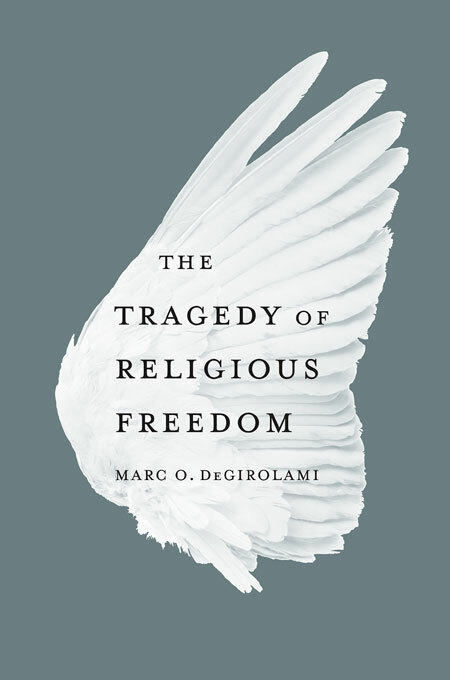 In TRAGEDY OF RELIGIOUS FREEDOM, Marc DeGirolami adds to a long line of works searching for ways to arbitrate the First Amendment’s seemingly conflicting guarantees of disestablishment in the Establishment Clause and religious liberty in the Free Exercise Clause. But whereas many other church-state scholars have sought either to unify the Religion Clauses through the development of an overarching constitutional principle or to abandon the entire enterprise of deriving coherent principles altogether, DeGirolami seeks to establish a middle-ground position, whereby judges engaging in church-state adjudication acknowledge the inherent conflicts underlying this area of the law. And because DeGirolami’s ideal judge will appreciate this conflict, she will understand in choosing for one party over another the tragic loss that inevitably results from her decision – an understanding that DeGirolami claims other scholars and judges overlook by treating church-state cases as either resolvable through overarching principles or not resolvable through principles at all. This is the tragedy of guaranteeing religious freedom. DeGirolami labels the first errant approach “monism.” In this category, DeGirolami places such prominent church-state scholars as Doug Laycock (for his religion-friendly theory of “substantive neutrality”), Marci Hamilton (for her separationist notion of “formal neutrality”), and Christopher Eisgruber and Lawrence Sager (for their recent effort to resolve church-state disputes through a concept of “equal liberty”). These scholars hold sharply divergent understandings of the Religion Clauses, but what they have in common, DeGirolami contends, is that they all believe that there is a best method of deciding church-state cases. For these thinkers, DeGirolami argues, the winner in the case is completely justified in prevailing and the loser in the case thereby has no legal basis for complaining of her loss. DeGirolami challenges this perspective, arguing that in church-state cases each party usually appeals to coherent, legally defensible principles. To rule for one side over another, then, a judge must choose to uphold one set of church-state principles over another, a choice pregnant with tragic consequences – involving the loss of land, liberty, or even life. In discussing the monists, DeGirolami also engages many Supreme Court opinions and doctrines that similarly display commitments to a singular principle governing the constitutional law of church-state relations. Indeed, we see such commitments in the Supreme Court’s Establishment Clause jurisprudence – particularly, in how liberal Justices have clung to the Lemon test, how conservative Justices [*483] have sought to dismantle Lemon and its progeny by developing the coercion test, and how the more moderate Justices have sought to mediate between these positions through the creation of the endorsement test. While disagreeing sharply on the content of the Religion Clauses, all of these Justices share one thing in common: their unflinching conviction that they hold the right answer to understanding the Religion Clauses. Although DeGirolami does not discuss Ronald Dworkin’s legal philosophy in great depth, making only a passing and oblique reference to Dworkin’s “hedgehog” approach (p.5), DeGirolami’s critique of church-state monism has significant implications for broader indictments against Dworkin’s work and other such “principled” approaches to legal theory. Indeed, DeGirolami’s ideal judge is strikingly different from Dworkin’s Hercules. DeGirolami does not conceive of a Herculean judge with unlimited intellectual power, capable of condensing discordant legal data into harmonious principles. Rather, DeGirolami, contra Dworkin, sees adjudication as about coming to terms with the tragedy of loss, suggesting that the ideal judge should be as capable of engaging her empathic as her intellectual faculties. Opposing these monists are scholars and judges whom DeGirolami calls “skeptics.” These skeptics, most notably Steven Smith, eschew theories of religious liberty on the ground that such theories require the systematization of church-state claims, the resolution of which inevitably requires recourse to background propositions. Because these background propositions will always be contested and contestable – turning, for example, on whether a particular judge adopts a Catholic or Protestant vision of religious liberty – there is no way to engage in neutral theorizing about church-state law. Church-state adjudication therefore must take on a more prudential and common-sensical approach. And because there is little reason to believe that judges will be better equipped than legislators at forming such practical judgments, many skeptics endorse a narrow and circumscribed role for the judiciary in resolving church-state controversies. But just as DeGirolami rejects church-state monism for holding overly optimistic hopes about the possibility of judges establishing consensus on overarching constitutional principles, DeGirolami criticizes the skeptics for being too nihilistic in denying that there are objectively grounded and legally defensible values and principles at stake in church-state disputes. It is not that there are no principles but that there are conflicting principles. So for DeGirolami judges do in fact have an important role to play in arbitrating church-state disputes. Their role is not to resolve conflicts through the reduction of the entire legal system to a singular principle, as the monists contend, or to defer to the political process and its ad hoc negotiation between competing interests, as the skeptics advocate. Rather, their role is to develop a philosophical and empathic orientation, based on the particular facts of each case, toward understanding what is at stake for each party, and to resolve the case through a careful and searching inquiry into the relevant social and [*484] doctrinal history. DeGirolami therefore calls his approach one of “tragedy and history” – a method that requires judges to appreciate the tragic loss that is at stake for each party and to arbitrate that conflict through recourse to the social and doctrinal history relevant to that particular set of circumstances. To support his approach, DeGirolami recruits an impressive array of legal and political thinkers, including Cass Sunstein, Michael Oakeshott, Edmund Burke, and Isaiah Berlin, providing thorough and at times original engagements of their works. DeGirolami’s development of his “tragedy and history” approach is thus as much a contribution to legal and political theory as it is a work on religious liberty. After developing his theory of “tragedy and history,” DeGirolami applies it to particular cases and areas of church-state law to give the reader a sense of how judges might use it in practice. This is where the work will likely lose most of its persuasive power for readers. Indeed, the book does a masterful job of summarizing and critiquing the monists and skeptics, and it is equally persuasive and compelling in developing DeGirolami’s “tragedy and history” approach through a rich recourse to various intellectual traditions, but it sometimes falls flat when applying this method to actual church-state controversies. The opinions that DeGirolami sees as coming closest to his approach are those that rest on particularized assessments of facts rather than rigid applications of constitutional rules. We see such an approach, for example, in Justice Breyer’s VAN ORDEN V. PERRY (2005) concurring opinion, which strenuously resisted applying any particular church-state doctrine in finding that Texas’s placement of the Ten Commandments did not violate the Establishment Clause, while conceding that other, more conspicuous displays of the Ten Commandments might be unconstitutional. Justice Breyer’s opinion left many church-state scholars shaking their heads, or perhaps, more accurately, scratching their heads in bewilderment over what the state of the law was after the opinion. Justice O’Connor’s church-state jurisprudence often elicited the same response, with its fact-driven approach leading many to wonder whether there was any principled law governing or arising from her opinions. Given their factually oriented approaches to church-state adjudication, these two Justices seem most closely to adopt the “tragedy and history” approach, though DeGirolami does make clear that they fail his standard in many ways – in particular Justice O’Connor fails DeGirolami’s approach through her adoption of the endorsement test. But it is still noteworthy that, of all the Court’s most recent members, these Justices come the closest to applying the “tragedy and history” approach. This is noteworthy, of course, because Justices Breyer and O’Connor have arguably been the least consistent of these Justices in their applications of church-state doctrine, suggesting that DeGirolami’s theory does not adequately answer what he anticipates as the most forceful objection to his approach: “that it threatens to unravel into judicial lawlessness” (p.207). DeGirolami does an admirable job of [*485] seeking to defend his approach against such indictments. He contends that by hewing closely to the social and doctrinal history underlying church-state law, judges adopting DeGirolami’s approach will not make decisions based on an unbridled discretion so as to unravel the entire system and thereby undermine the rule of law. But perhaps this is asking too much of history and precedent. Indeed, our constitutional history and judicial precedents are often too ambiguous, manipulable, and inconsistent to constrain judicial decisionmaking sufficiently so as to ensure the rule of law. It seems that we need more than these two safeguards, or at least a clearer and more precise exposition of how they can guide us in this area of the law, if we are to abandon monism altogether with any confidence that we will not quickly descend to the maelstrom of lawlessness that the skeptics claim pervades church-state adjudication. If DeGirolami truly is going to provide a middle-ground theory, one in which both theory and conflict can co-exist, we need to know more precisely how history and precedent can guide us. The reader will likely find that DeGirolami does not satisfy this standard. Nevertheless, DeGirolami does provide an important service in probing and pushing us closer to this understanding. And something that must be emphasized here is that he performs this service with a clarity, elegance, and intellectual depth surpassing almost every work in this field. TRAGEDY OF RELIGIOUS FREEDOM is an excellent starting point for a discussion of how to arbitrate the principled conflict underlying church-state adjudication, and in starting this discussion DeGirolami does an exquisite job of defending his approach. For these reasons, it is not only an important but also an immensely enjoyable book to read. Dworkin, Ronald. 2011. JUSTICE FOR HEDGEHOGS. Belknap Press. LEMON v. KURTZMAN 403 U.S. 602 (1971). VAN ORDEN v. PERRY 545 U.S. 677 (2005). Copyright 2013 by the Author, Jesse Merriam.